Not all stair lifts are the same. There are different models and different features within those models. This also means knowing about the different weigh capacities for different stair lifts. We know how stair lifts can increase mobility options at a home or business. Stair lifts take away the frustrating challenge people with mobility issues face when trying to get from one floor to another. Indy Stair Lifts understands this and offers a comprehensive line of stair lifts, designed to meet the needs of the individual. The Indy Pinnacle Stair Lift has a weight capacity of 350 lbs. It is also the narrowest stair lift on the market, as it extends just eleven inches from the wall when installed. The Indy Lux Stair Lift has a weight capacity of 400 lbs. It’s designed to conform to any body type thanks to multiple seat heights and a large seat. The Indy XL Stair Lift has a weight capacity of 500 lbs., the largest weight capacity available on the market today. This stair lift is reinforced and is made with heavy-duty material to support any body type or size. The Indy Outdoor Stair Lift has a weight capacity of 350 lbs. This stair lift is designed for indoor or outdoor use. It’s protected by weather-tight covers which come standard with this model. The Indy Curve Stair Lift has a weight capacity of 400 lbs. 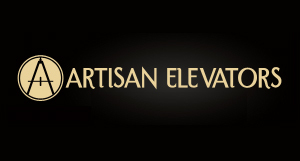 It is customized to fit the specifications of a specific stairway. 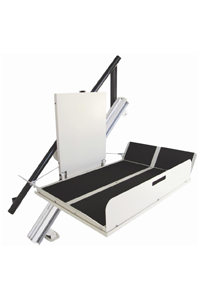 The Indy Platform Stair Lift matches the Indy XL Stair Lift with a weight capacity of 500 lbs. This stair lift has an auto-folding feature on both ends of the platform. Contact Indy Stair Lifts today for a free quote and to find out more about how stair lifts can improve your life or the life of a loved one.